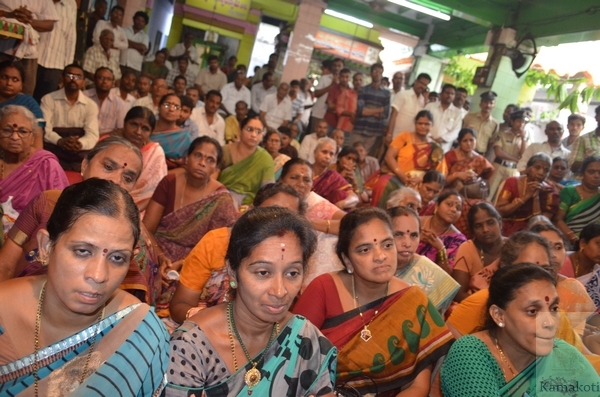 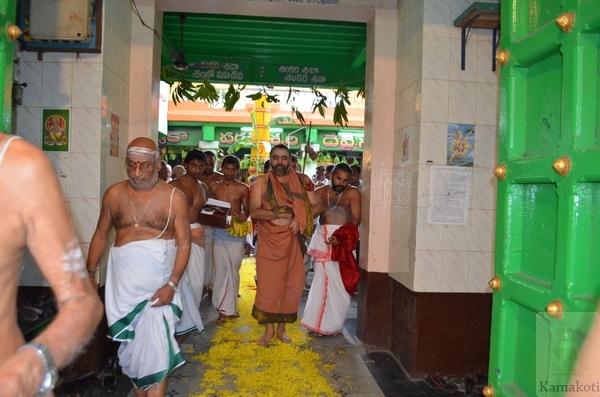 3 July - His Holiness Pujyashri Shankara Vijayendra Saraswathi Shankaracharya Swamigal graced the Kanyaka Parameshwari Temple on Friday evening (3 July 2015). 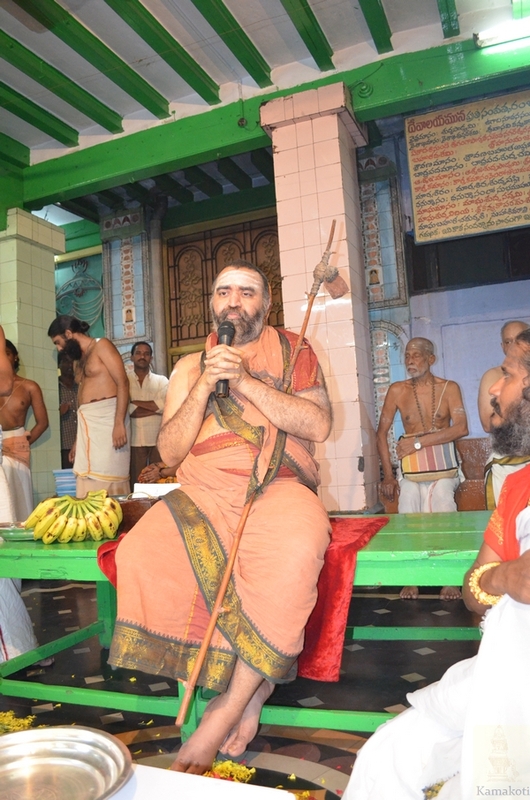 The temple committee received His Holiness and special Harathis were performed in all the shrines. 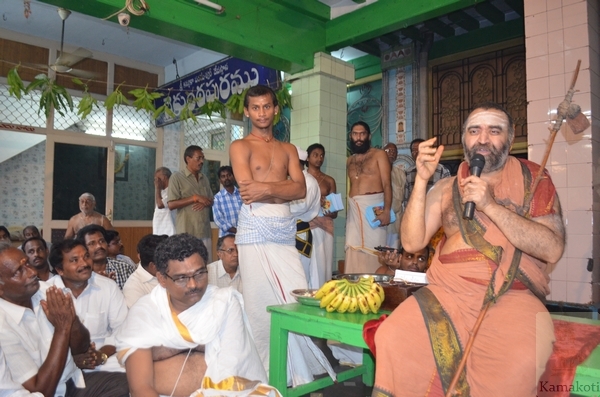 In His Anugraha Bhashanam Holiness spoke about Cow Protection, Vegetarianism and Charity.